Martina Caironi from Bergamo, Italy, is one of the world’s greatest Paralympic athletes. In 2007, Martina Caironi lost her left leg above the knee after a motorcycle accident. Sports played a crucial role in her rehabilitation. She began her sports career in 2010. Today she is a top athlete in Paralympic sports. The 2012 Paralympic Games in London were Martina's first big event, five years after her accident. Here she took the gold medal in the 100 metres. The following year, she became a double world champion – in the long jump and the 100 metres. In 2014, Martina was also European Champion in the 100 metres. And Martina's successes continued in 2015. In just one month, she improved her own world record three times in the 200 metres, class T42, and she also won gold at the World Championships in Doha. Her world record in the 100 metres was set at 14.61 seconds. Martina defended her Paralympic title in the 100 metres at the 2016 Games in Rio and also won silver in the long jump. However, her personal best in long jump was 4.72 metres at the 2017 World Championships in London. At the end of 2016, Martina began training under Davide Gamberini, who specialises in long jump. She subsequently jumped 4.88 metres at the Italian Championships in Nembro, northern Italy, in June 2018, adding an impressive 16 centimetres to her previous best jump in London in 2017. Following the revision of the Para Athletics classification system, Martina is starting in class T63 in 2018. This class is for athletes with a unilateral leg amputation above the knee joint. 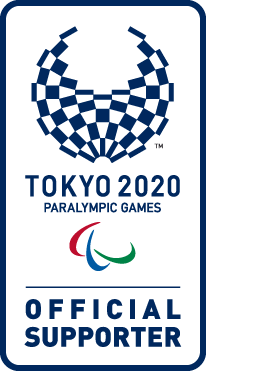 With the revision of the classification system, the IPC aims to improve the comparability of the athletes' performance. In 2018, Martina won gold in the 100 metres and long jump at the European Para Athletics Championships in Berlin. Not only did she achieve her personal best with 4.91 metres and set a world record in the new category – but she's also getting closer and closer to her goal of five metres in the long jump. Thus she keeps getting closer to her goal of five metres in the long jump. She aims to reach this goal before Tokyo 2020. "I am very happy. The thing is, I have even more to show. As usual in the European Championships, medals are important. But for me, it is even more important that the work I invest throughout the year is reflected in my times and distances." Martina is not just a multi-talented athlete; she's also multilingual. She speaks five languages – Italian, English, Mandarin, Portuguese and Spanish – and studies linguistics at the University of Bologna. Martina has celebrated numerous successes to date, but she's still constantly seeking new victories. Career highlights: Winning gold at the London 2012 Paralympic Games in the 100m T42 class and setting the Paralympic record. Gold in the 100m at the London 2012 Paralympic Games and the Rio 2016 Paralympic Games. 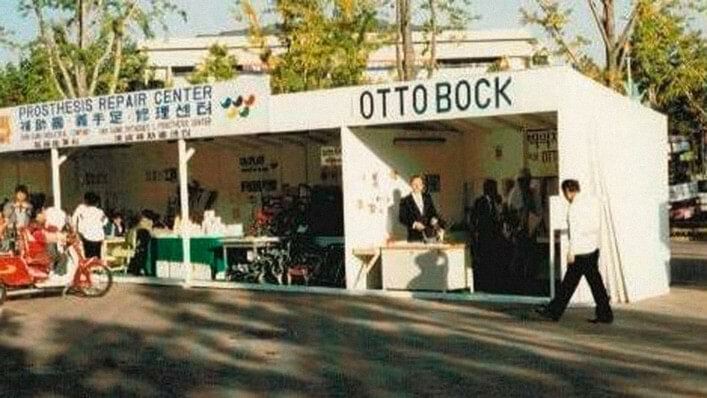 Ottobock offered technical services at the Paralympic Games for the very first time in 1988. Since then, Ottobock has stood ready to support the athletes at every Paralympic Games. Learn more about this unique history.